Heartburn. It’s a warming or burning sensation you feel in your chest, most often behind your breastbone. It may worsen when you’re lying down or bending over. Also known as acid reflux, heartburn is caused by acids traveling up your esophagus (the tube that connects your mouth and your stomach) from the stomach. Chronic heartburn is known as GERD, or gastroesophageal reflux disease. 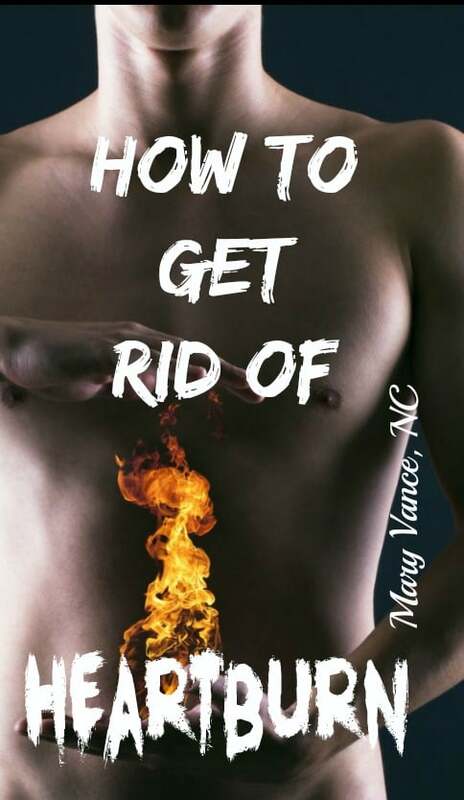 The protocol and strategies I’ve listed are mainly designed to get rid of GERD, but for acute heartburn (that occurs rarely), you can use the suggestions below that will stop the pain/burning. Approximately 7 million people in the U.S. have symptoms of GERD. It seems logical that heartburn is caused by too much stomach acid, but believe it or not, nearly all cases of GERD are caused by low stomach acid, or hypochlorhydria, and antacids make the problem MUCH worse. Having too much stomach acid is actually rare. Excess stomach acid is only found in a few rare conditions like Zollinger-Ellison syndrome, and GERD is hardly ever associated with too much stomach acid. (source). Stomach acid declines with age; one study found that 40% of women over the age of 80 produce no stomach acid at all. So it doesn’t correlate that GERD increases with age while stomach acid decreases with age if the cause is too much stomach acid. The true cause of GERD is hypochlorhydria, or low stomach acid. When you eat something, digestion to break down starch begins in the mouth, then food travels down the esophagus and into the stomach, where hydrochloric acid (HCl) is released to break down proteins, fats, and carbohydrates. Then the chyme (mostly digested food blob) moves into the small intestine, where enzymes are released to liquify food for absorption into the bloodstream. The pH of your stomach should be around 2.0 because of the HCl production. This is very acidic, and it needs to be to both break down food and kill any pathogens that may have hitchhiked in with your food. In the case of hypochlorhydria, here’s what happens: You eat food; it travels to your stomach. HCl is produced (in most cases; elderly folks don’t produce enough, or sometimes none at all), but it is not acidic enough to break down food, and/or it is not secreted in the proper quantity. When HCl is too alkaline, the assimilation process (food being broken down into glucose, fatty acids, amino acids, and nutrients) can’t occur as it should, and digestion slows. Food (typically carbohydrates) ferments as it makes its way too slowly through the small intestine, and the gases from the fermentation travel up the esophagus and cause burning. The issue may also be structural: After food passes through your esophagus into your stomach, a muscular valve called the lower esophageal sphincter (LES) closes, preventing food or acid from moving back up. Reflux occurs when the LES relaxes inappropriately, allowing acid from your stomach to flow (reflux) backward into your esophagus. The fermentation pressure from slow digestion mentioned above can also cause the LES to open. Infrequent (not chronic, every once in a while) heartburn can be caused by certain trigger foods, alcohol, overeating, and fatty foods. Antacids provide temporary relief because they neutralize the acid and/or gases resulting from slow digestion fermentation or a lazy LES. But antacids don’t solve the underlying cause of heartburn and can actually worsen hypochlorhydria by making stomach acid even more alkaline. Add to that the fact that antacids have a terrifying list of side effects. h pylori is one of the biggest causes. This pathogenic bacteria attaches itself to the stomach lining and secretes an enzyme to alkalize HCl so it can survive. Up to 50 percent of the world’s population is infected. Because hypochlorhydria inhibits the stomach’s ability to break down food, nutrients aren’t properly absorbed. This can lead to deficiencies in crucial minerals such as magnesium (needed for proper cardio function), B vitamins (especially B12), and iron. So you may notice hair loss, brittle nails, skin issues, or fatigue if you have hypochlorhydria. The gold standard is the Heidelberg test. The person swallows a tiny capsule that contains a microtransmitter that measures the baseline pH (acid/alkaline level) of the stomach. The higher the pH, the more alkaline the stomach acid. But there are is an easier test you can do at home. You’ll need to purchase some HCl tabs. They’re not expensive. You can get them here. Prior to eating dinner, take 1 HCl tab, then eat dinner. You may feel a slight warming sensation in your stomach or esophagus. This is good! That means you have enough HCl. If nothing happens and you didn’t feel anything, the next night take 2 tabs. Did you feel anything? If not, take 3. You get the picture. You want to take as many HCl tabs as it takes to feel the slight warmth. The more tabs you have to take, the worse your HCl production. Normal is anywhere from 1-3 tabs, fewer being ideal. If you have to take more than 3, you definitely have hypochlorhydria. Now, if you’re already suffering from heartburn or GERD, there is a 99% chance you have hypochlorhydria, but it’s a good idea to do the HCl test so you know how bad it is. DO NOT do the HCl test if you have ulcers! Now that we’ve addressed the two main causes of heartburn: both structural issues and/or hypochlorhydria, how do you get rid of it? Your doctor has likely prescribed you a purple pill or an antacid to get rid of the burning. As I mentioned before, this doesn’t solve the underlying cause and makes the issue much worse: you’re neutralizing already low stomach acid! What sense does that make? About $13 billion, which is what adults in the U.S. are spending on acid-blocking drugs, the second most commonly prescribed med behind Lipitor. There are so many problems with acid blocking drugs. The FDA recently issued a warning about serious bleeding risk with use of OTC antacids containing aspirin. The FDA previously issued a warning about prolonged use of antacids increasing bone fractures. This occurs because antacids cause mineral (calcium) deficiency. I’ve had clients who have been on antacids for years, and nearly every single one had serious side effects as a result. There is a natural solution! You can increase HCl production and get rid of heartburn and the damage it’s caused. Note: this protocol is for chronic heartburn. 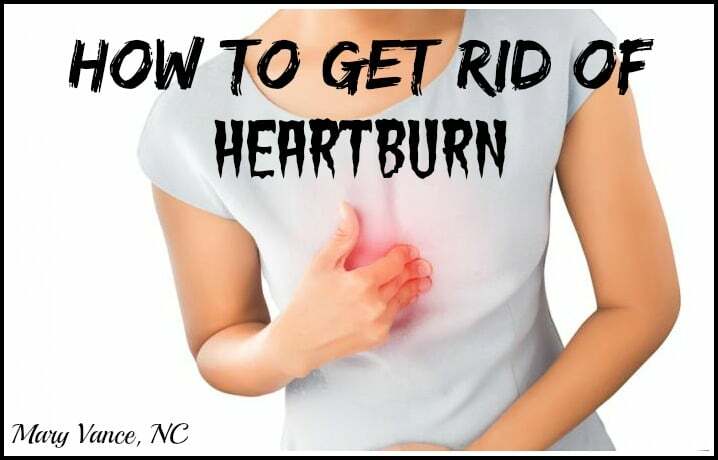 If you get heartburn infrequently (a few times yearly), you may not have GERD (check with your doctor), but you can still do the elimination diet to determine food triggers, and you can use the apple cider vinegar and DGL licorice as needed. First step is to get tested for h pylori. It’s a main cause of hypochlorhydria and GERD. GERD can be aggravated by bacterial overgrowths or poor bacterial diversity in the gut. Take a high quality probiotic and consider an herbal anti-microbial cleanse to kill bad bacteria. You may want to consider breath testing for SIBO, especially if you cannot tolerate probiotics. Take a digestive enzyme with HCl to help you break down food while you work on healing the gut. Often the enzyme and probiotic will do the trick. Be aware that you need to wean off your antacid slowly. Ask your doctor for help. If you have gastritis, HCl may not be for you, as it may further irritate the stomach lining. Clean up your diet: heartburn can be caused by food sensitivities. I recommend a month-long elimination diet. The directions are here. Eliminate gluten, dairy, eggs, soy, alcohol, coffee. Focus on organic proteins with vegetables. See this post about how to build an ideal diet. Eat plenty of fermented vegetables and drink bone broth! Follow my 4-step plan for gut healing. This means testing for any gut infections, taking the enzymes and probiotics, and taking this formula with herbs that soothe and heal the gut and esophageal tract. Aloe vera juice can be very healing and soothing. You can take DGL licorice as needed to get rid of acute heartburn. It’s also quite healing to the esophageal tract. A much better choice than antacids! 1 tsp of apple cider vinegar in an ounce of water can increase HCl production before meals. First off, get a stool test to check for pathogens, parasites, bacteria, h pylori, and dysbiosis that can cause heartburn. Getting rid of any pathogens is a priority. Start the elimination diet to determine food sensitivities. Take the enzyme and probiotic. Stress relief is a must! High cortisol can ruin the terrain of the gut. Implement my 4-step plan for gut healing to heal leaky gut or inflammation that has occurred due to the reflux. You can use DGL licorice as needed while you’re in the healing phase. The million dollar question is always how long does it take to heal? Plan on at least three months, but in some cases it can take 6 months to a year, depending on what is causing the GERD. If you’ve had h pylori or other gut infections for years, it takes time to eradicate and heal from those infections, but don’t give up! Want Even More Support? The 21 Day Gut Reset is for YOU! have more energy, better focus, a flatter belly, glowing skin! access to our private support group where you can ask questions and get even more info!